Family doctors have recommended brewer's yeast as a natural mosquito repellent for generations. Brewer's yeast is high in thiamine, or Vitamin B1, which is excreted through your pores when you sweat. Though humans can't detect it, brewer's yeast gives off an odor that mosquitoes find offensive--and they'll usually leave you alone. Prevention using brewer's yeast is the key to avoiding the itching, redness and swelling of mosquito bites. Increase your consumption of thiamine a few days before you expect to be at the mercy of mosquitoes. Foods that are high in thiamine include organ meats, whole grain products and brewer's yeast. Swallow a tablet of brewer's yeast with a glass of water every day that you're near mosquitoes, especially when enjoying summer activities such as camping, going to the beach or picnicking. Always follow dosing instructions on the bottle and don't take more than the recommended dose. To be extra safe, consult your doctor before giving brewer's yeast tablets to young children. Complement the brewer's yeast tablets with a topical insect repellent containing DEET, also known as diethyltoluamide, if mosquitoes are persistent. Apply repellent sparingly on your skin and avoid getting it in your eyes. Treat any mosquito bites that you do get by washing them gently with cool water and a nonabrasive soap. Apply an over-the-counter antibiotic ointment to reduce the risk of infection. If the itching becomes unbearable, dab hydrocortisone cream on the bite and gently rub it in. 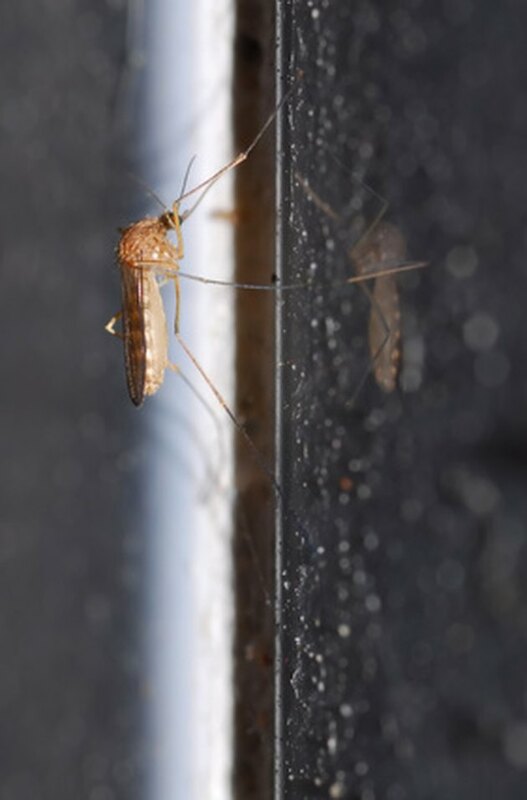 Mosquito bites are usually harmless, but mosquitoes do spread some diseases such as West Nile virus and malaria. Symptoms including fever, headache, body aches, nausea, vomiting, swollen glands, hives or severe swelling could indicate an allergic reaction or infectious disease. Seek medical attention right away if you experience any of these symptoms.